Visit My Portfolio for more in this series. have listed some facts about him here that I thought were interesting. Always learning something new! Love it! 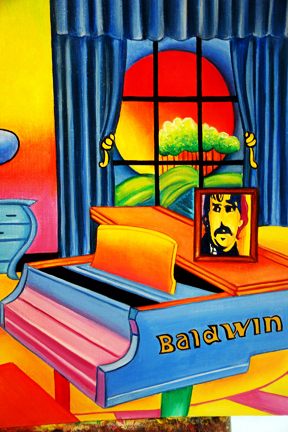 Peter's Piano at 11 x 14.
the Baldwin Piano that he painted. What great colors! Custom Floater Frames are available upon request. 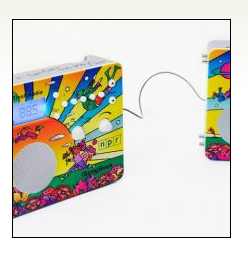 This would make a great gift for a Peter Max Lover. that allowed for four-color reproduction on product merchandise. Iacocca to help spearhead the restoration of the statue. and Roll Hall of Fame, The Super bowl and others. 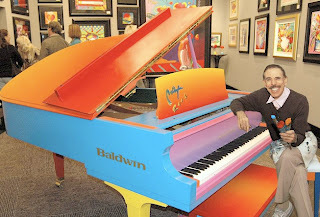 Max's art work was a part of the Psychedelic movement in graphic design. President of The United States was debuted. 1988, one for each year. The collection has been horribly neglected. 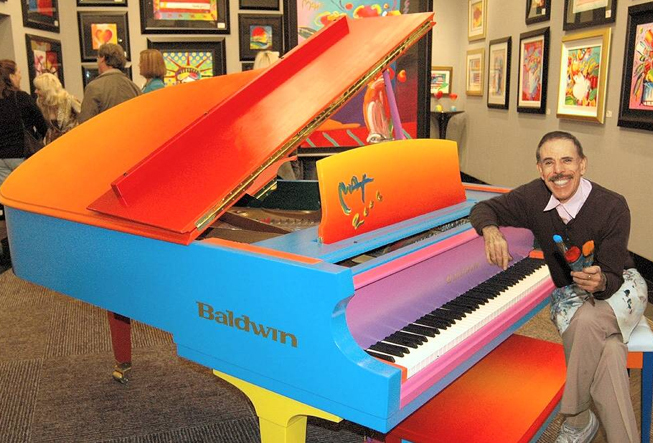 Peter Max is an environmentalist and defender of human and animal rights. (registered N77014) sported a special livery designed by Max. The livery was removed in the winter of 2007–2008. 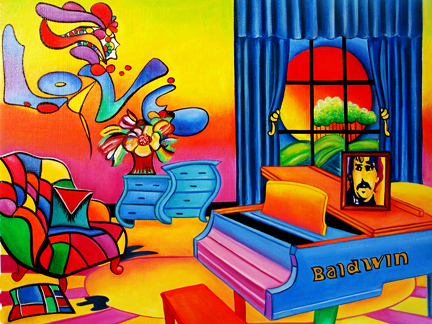 Peter Max currently lives in New York Citywith his wife, Mary Max. Quote:I never know what I'm going to put on the canvas. The canvas paints itself. Thanks so much for the nice comment. I even dream in color! lol!